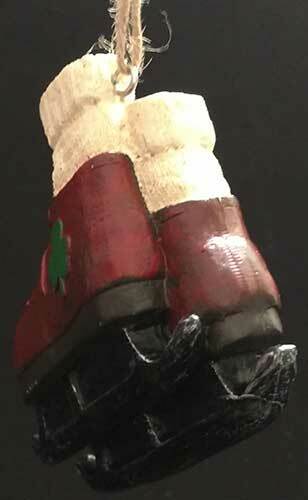 Irish Christmas ornament features a vintage pair of ice skates that are enhanced with shamrocks. This Irish ornament is ready to hang on your Christmas tree with the included twine. 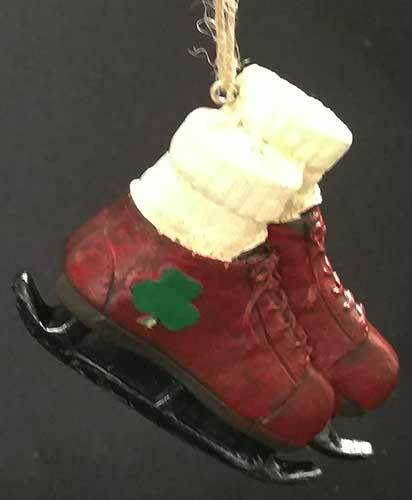 This Irish Christmas ornament is pair of worn ice skates that include wool socks along with green shamrocks and black blades. The Irish ice skates ornament is a dimensional design that is made of resin; it measures 3 3/4" wide x 3" tall x 1 1/4" wide.